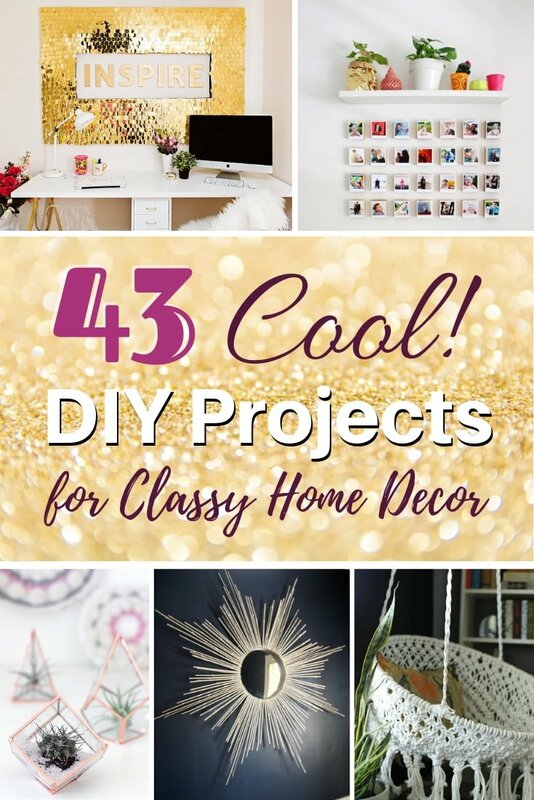 So you want to take on some cool DIY projects to make your home decor look more classy and expensive, but you don’t have a big budget to spend? It’s actually easier to do than you might think. Yes, cool expensive furniture, statement art, advanced gadgets make your home look luxurious, but that’s not your only option when it comes to creating a classy look. Sometimes all it takes is a little creativity and you can create decor that only looks expensive but it actually isn’t. Here are over 40 easy and cool DIY projects that will help you do just that. 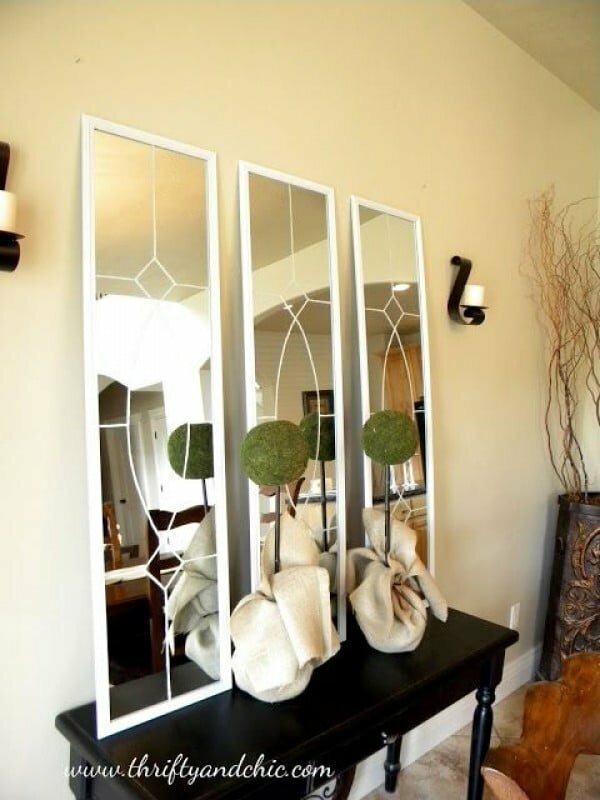 Decorative mirrors add some cool architectural interest to home decor and makes it look classier, but they can be quite expensive. Not if you make one yourself following this tutorial. Laces add that extra classy look to your home style but it isn’t just limited to blankets and covers – you can use lace fabric to decorate your walls too. Here’s how. A floating shelf can be so much more with just some cool wall decorating. Turn it into a visual display that looks like a console table without the expense of getting one and taking up space. Some things have to be hidden away from the view in order for your decor to look classy. This skirt idea works for things like a pedestal sink or open cabinets. The built-in bookshelf look is very much cool and classy especially with molding adding to the room’s architecture. You can fake it very easily by using just IKEA’s Billy bookshelves (also read about our picks for the best bookshelves for small spaces). Marble looks expensive and classy but you don’t have to splurge on the real thing if you just use self-adhesive paper. This is a very cool DIY project to take on. These mail baskets are very handy and stylish to have in your entryway. Add marquee lights to your displays for that extra bling and class. Here’s how you can make one yourself. Repurposing is always a good idea as you save on buying new materials and the results is often unexpectedly beautiful. Such is the case with sweater pillow covers. Get that cool knitted cover look with very little effort. Here’s another easy way to use laces and add a little charm to your home decor. 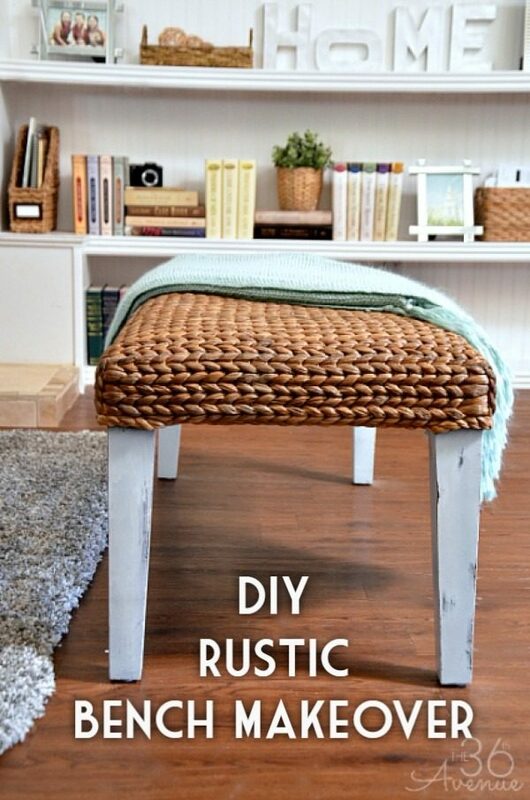 This is a very cool DIY project and it’s very easy to complete. Gilded accessories certainly look luxurious and you can easily make statement wall art – here’s how. If you like the idea of whimsical wall decor, here’s how you can achieve the chic look of world map painted brick wall. Need some nice classy vases but want to avoid the cost? Paint them in enamel to get the look. Can you tell this old rusty vintage door knob plate is actually faux? You really can’t tell the difference and you can get this cool classy vintage look for your doors without having to bring old rust to your home. Check out the tutorial for the technique you can use. Macrame wall hangings are so cool and all the hype. They can add some boho style and some class to your living room or boho bedroom decor. This tutorial shows you how to create a simple macrame hanging using just a single knot technique. Check it out. This wall hanging is a nice way to add some cuteness to your home decor. Whether you hang it in your bedroom or a living room, it will add some subtle class. It’s easy to make too if you follow this wonderful tutorial. 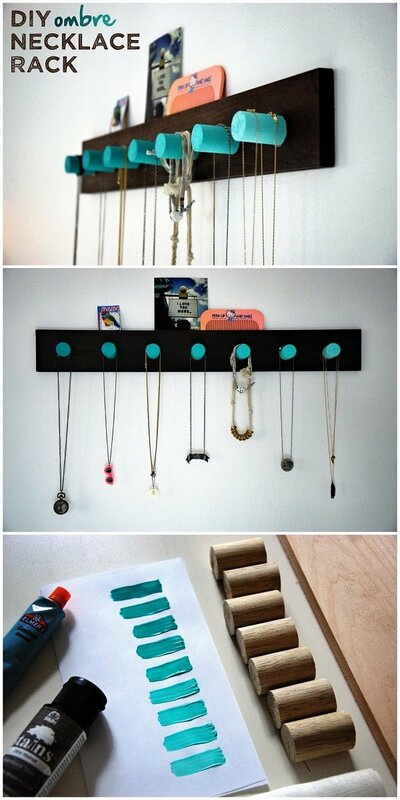 A piece of wood and some dowel pieces combined make an ideal jewelry hanger. It can be painted any color to suit any decor and keeps that jewelry up and out of the way. It also displays your accessories so they become another piece of art to admire. 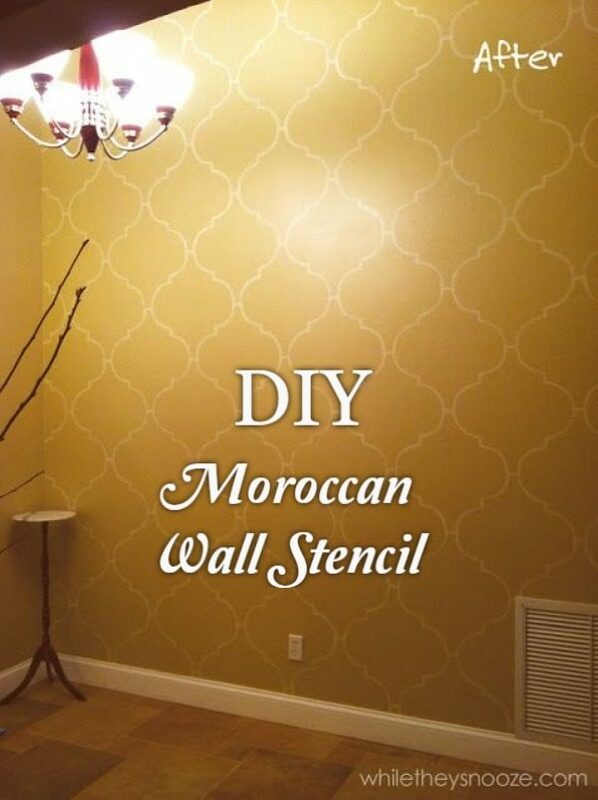 Stenciling the walls is a cool way to add a pop of color, pattern, and character. With getting creative, this can cost next to nothing if you make your own stencil from some cardboard. Few things are more trendy and cool than the farmhouse look and feel, and using barnwood in a home is the ideal way to get the look. 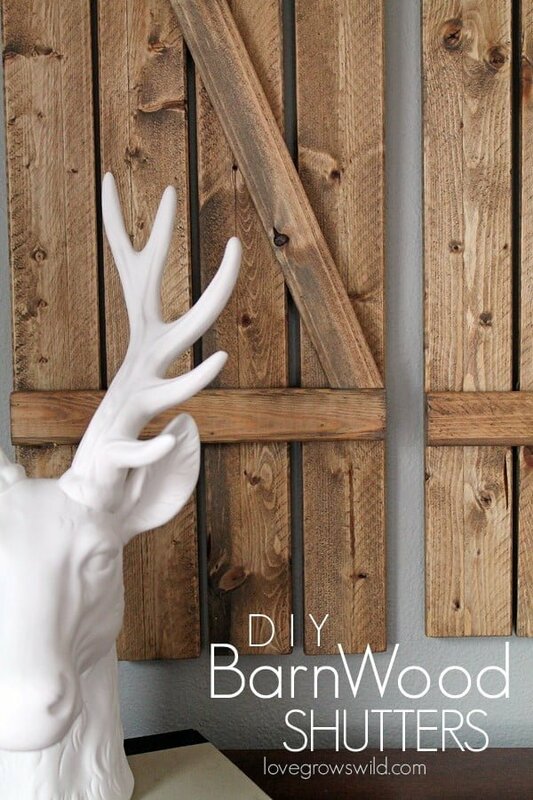 DIY barnwood shutters are easy to make and add instant rustic charm to its surroundings. Re-loving our furniture is a cool, cost-effective and eco-friendly alternative to buying new pieces. Giving old pieces new life reduces our consumership, as well as lessening the items that end up in the landfill. Refurbishing a bench with some stain gives it new life. 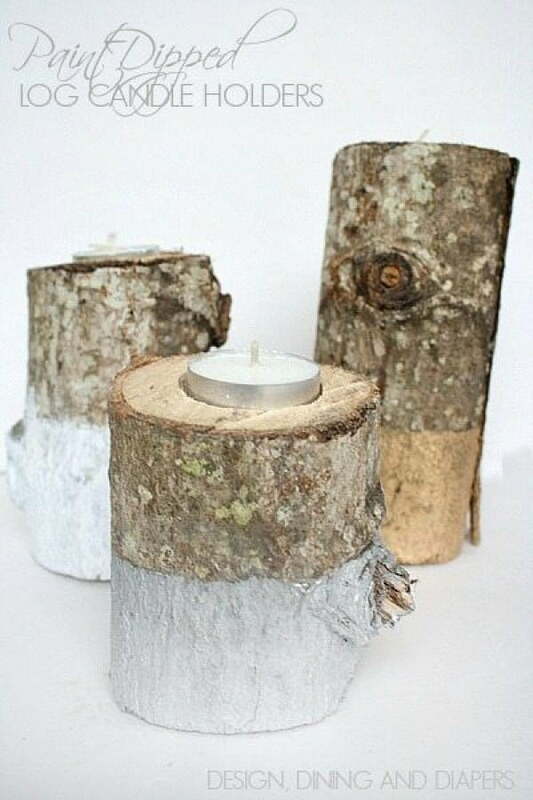 Accent items made out of log pieces like candle holders can be found in many trendy shops, but with a little ingenuity, you can make them yourself for a fraction of the cost. Dipping the bottoms in paint gives an extra pop of color and sophistication. 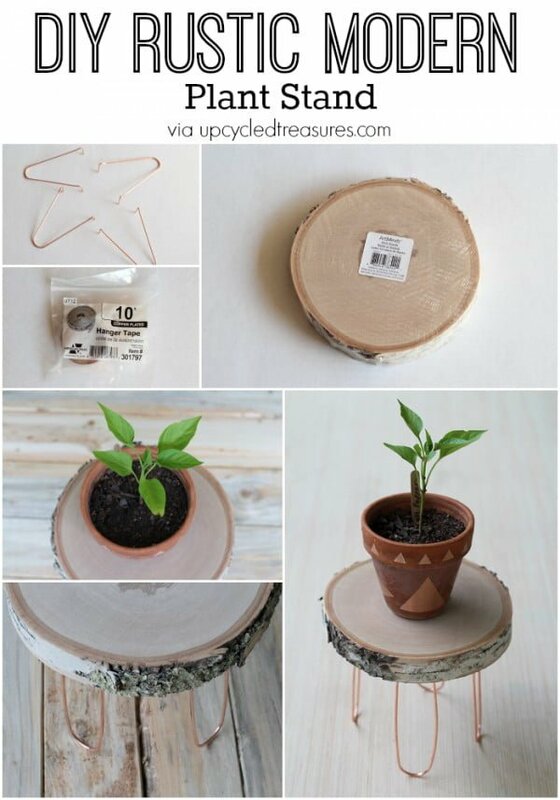 This rustic plant stand is made easily with a piece of wood and some pipe hangers for legs. This is a practical and charming way to display a beloved plant and keep it off the ground and away from heat vents. 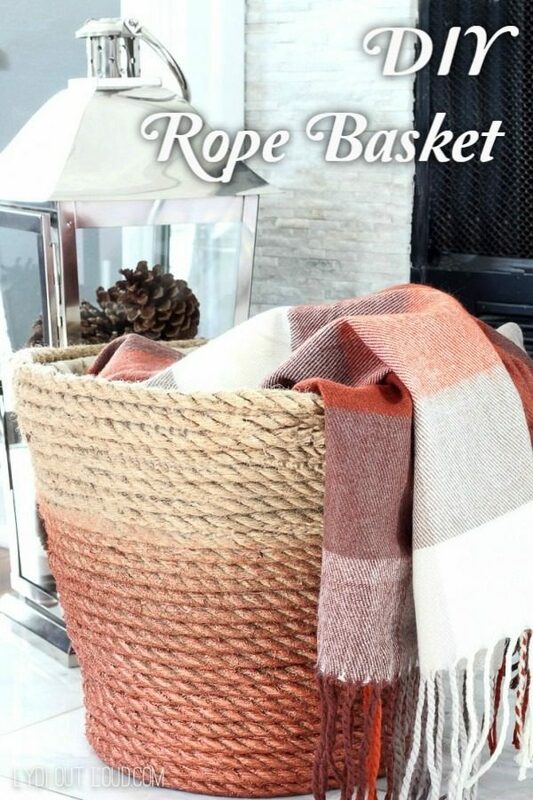 A metal basket with rope twined around it and secured with glue completely changes the look of the basket, making it a great home for cozy throws and other items. Macramé was huge in the 70s and it has enjoyed a resurgence in the world of modern home decor. 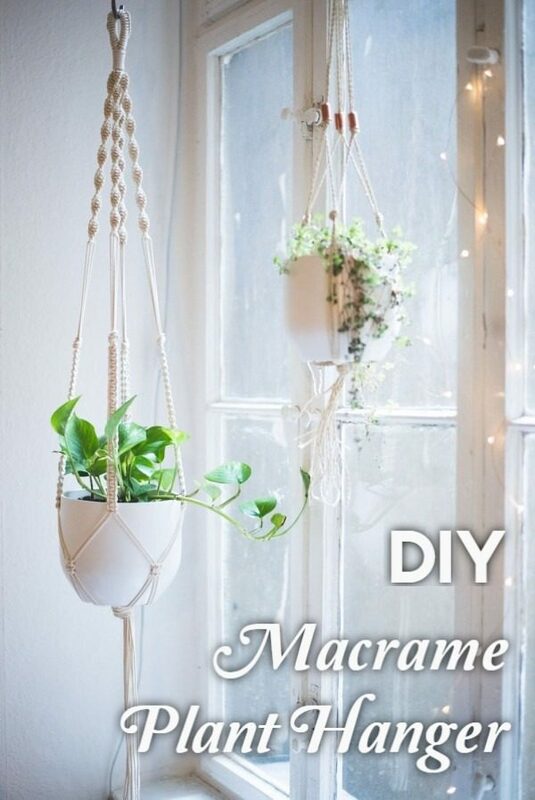 A simple DIY macramé hanger can transform a plant hanger into a cool and trendy accent piece bound to start conversations. 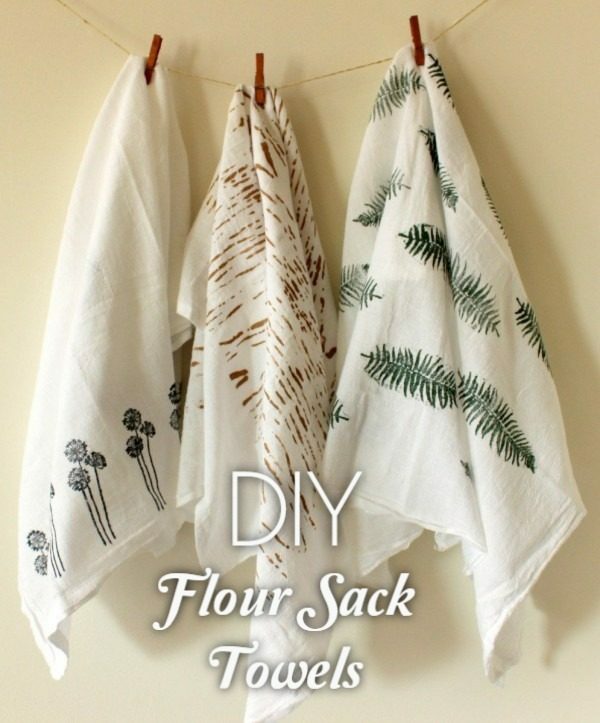 Flour sack towels are DIY home decor items that cultivate the farmhouse look and feel. Some plain towels, a stencil, and some paint can achieve the look with a minimum of time, money, and effort. 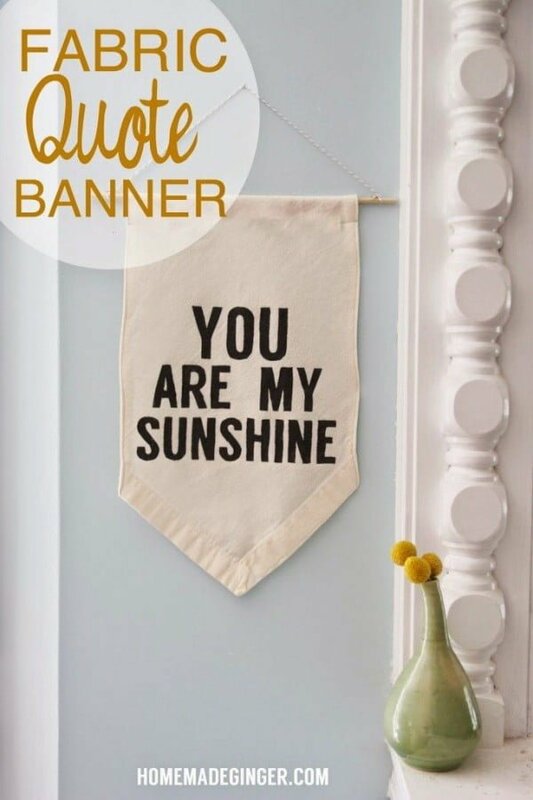 These DIY banners are so easy to make and are super trendy. Some fabric, a small piece of dowel, paint and a word stencil is all you will need to achieve a cool graphic punch in a space. Making one yourself ensures you can customize your quote. 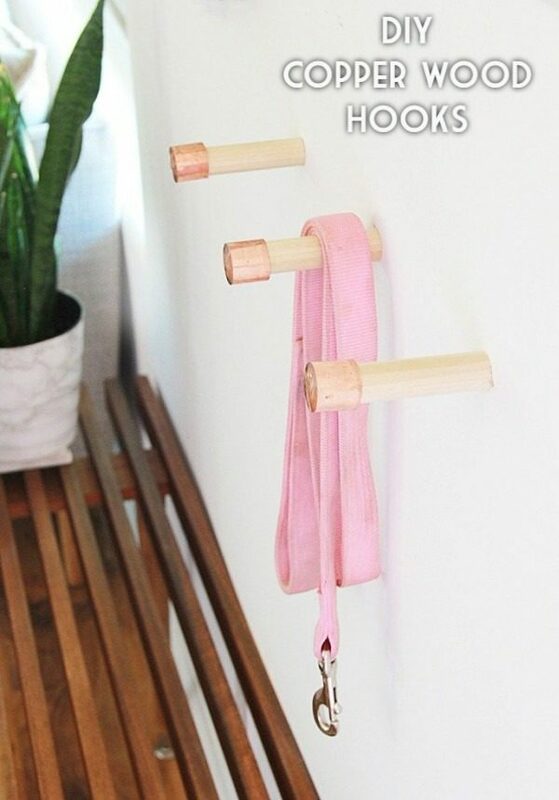 Ideal as space-savers, having a number of hooks around the home gets things off the floor and becomes a handy storage solution. These cool DIY copper wood hooks marry form and function perfectly. 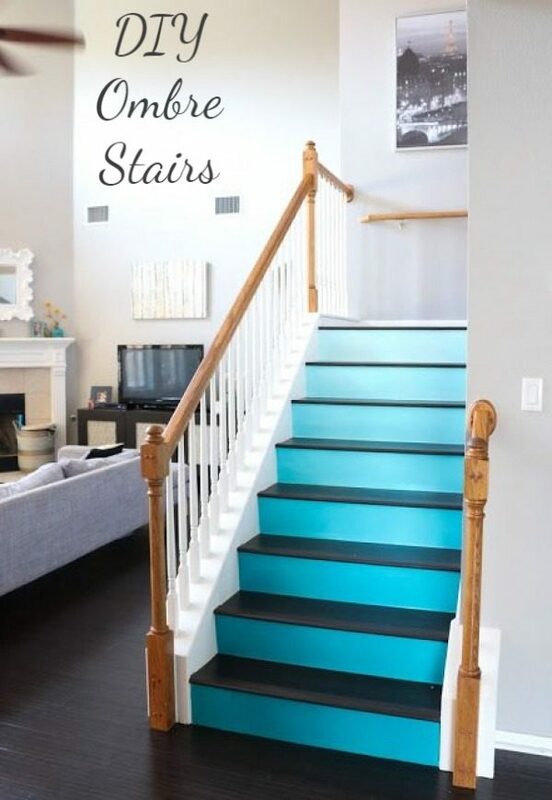 Who needs plain boring stairs when you can paint them in ombre colors to achieve a cool and unique staircase design. 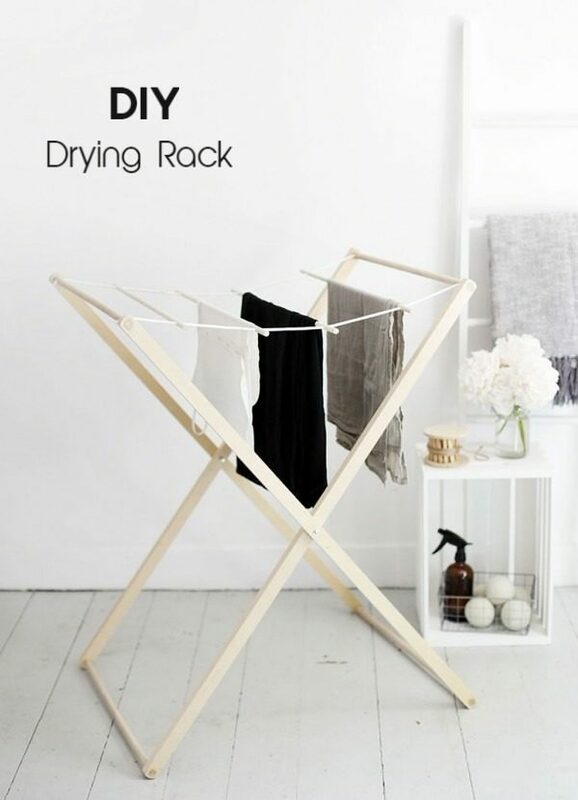 Drying racks are great for people with delicate clothes that need to air dry. Making one yourself ensures you have one ideally suited in size to your space. 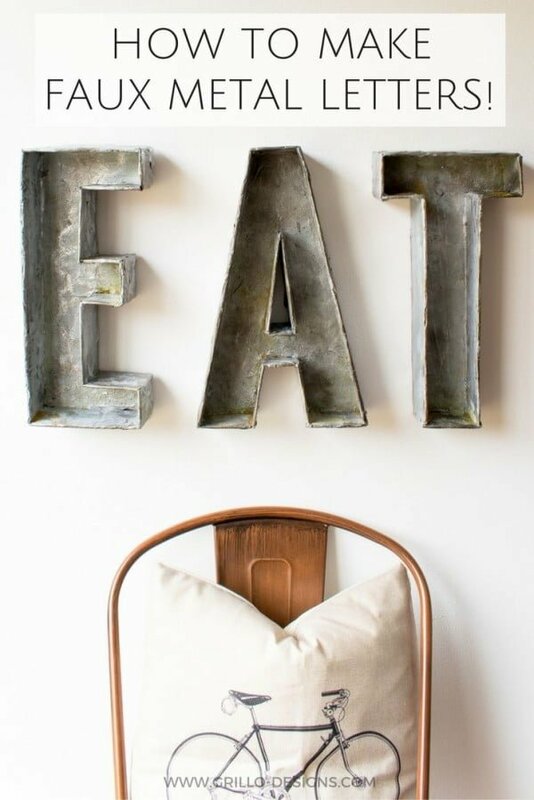 These DIY faux metal letters are amazingly authentic looking. With a little elbow grease, you too can easily create the look with any word you like. These DIY metal letters cost a fraction of the price to make as they do to buy. Plywood countertops are easy to make and form beautiful surfaces in a number of areas. 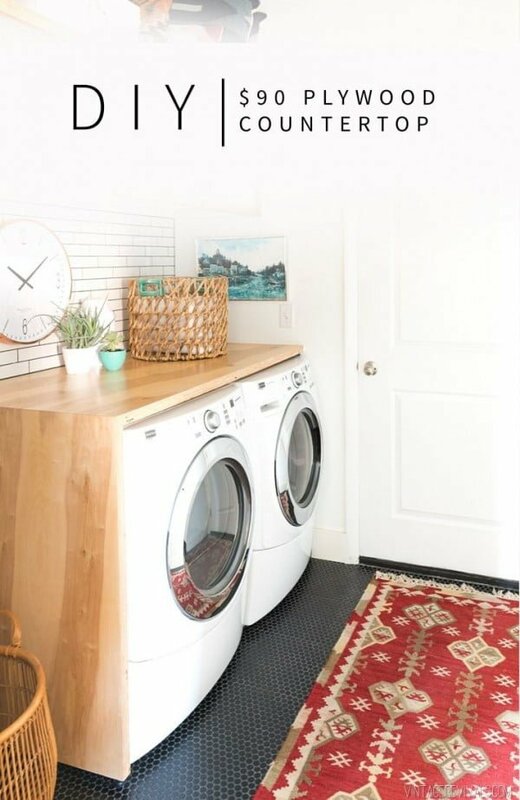 Over a washer and dryer, they provide a fabulous and sleek folding station. 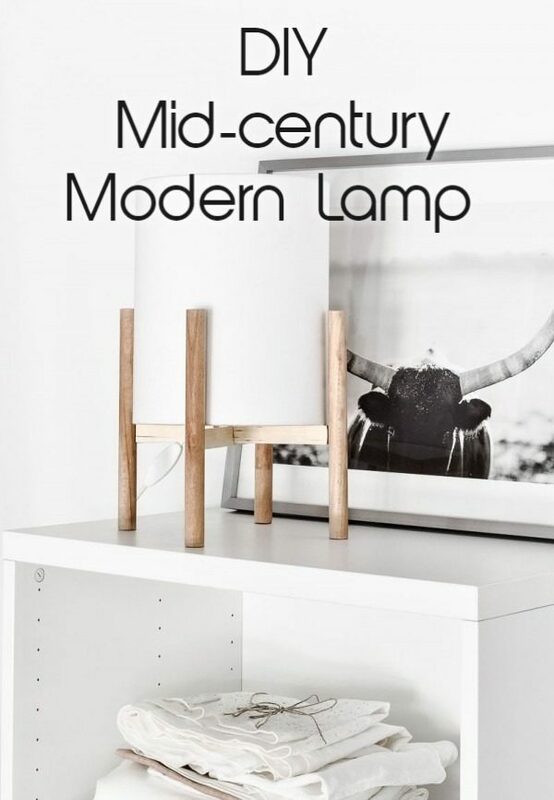 Lamp parts are highly accessible at your local craft store, so why not create your own unique DIY lamp to suit your decor. Copper is such a versatile material, and its warm hue adds just the right pop of shine and color. 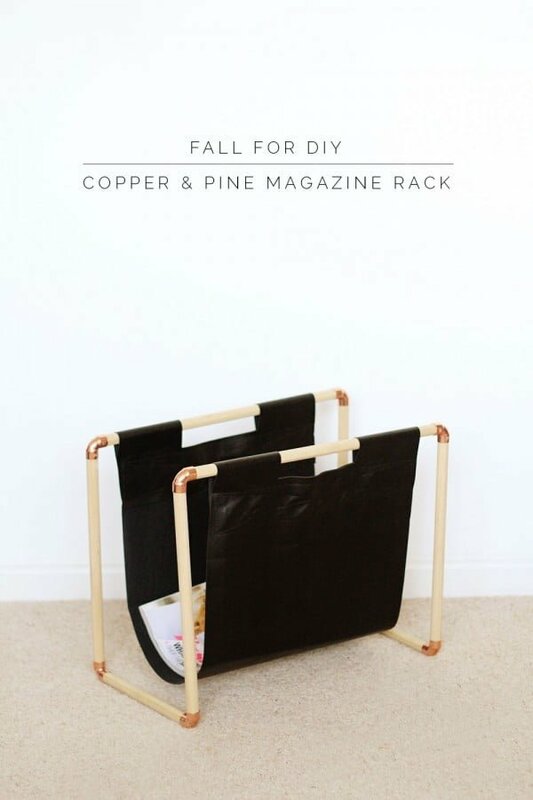 Some fabric and copper make a lovely home for magazines and papers. 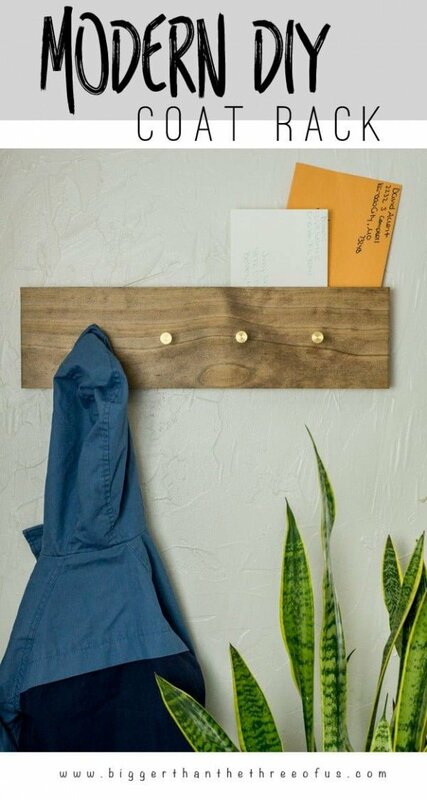 DIY coat racks are functional as well as aesthetically pleasing. A rustic piece of wood makes a perfect base upon which to hang your coats and hats. 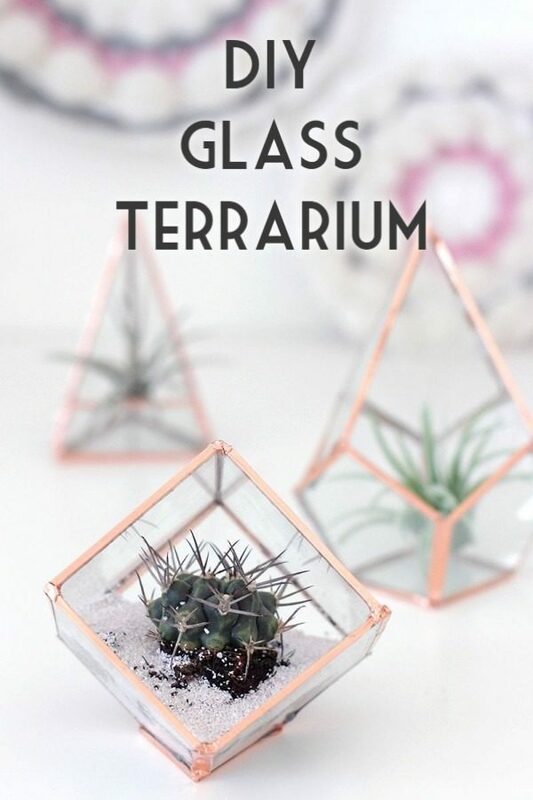 DIY glass terrariums make ideal environments for plants and succulents, and they are also lovely to look at and warm up space. 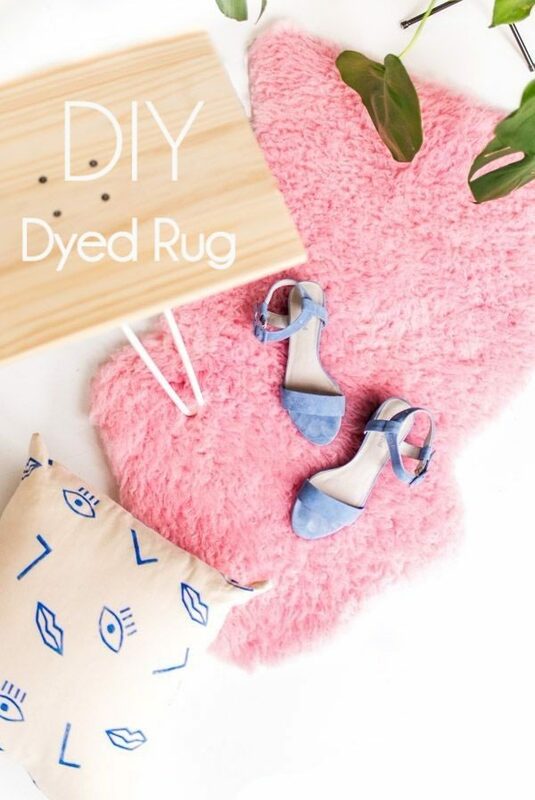 Dye works on almost anything, and with a little effort, you can transform a boring rug into a cool pop of color with a rich color change. Pendant lights can be made with a variety of materials used as a shade. 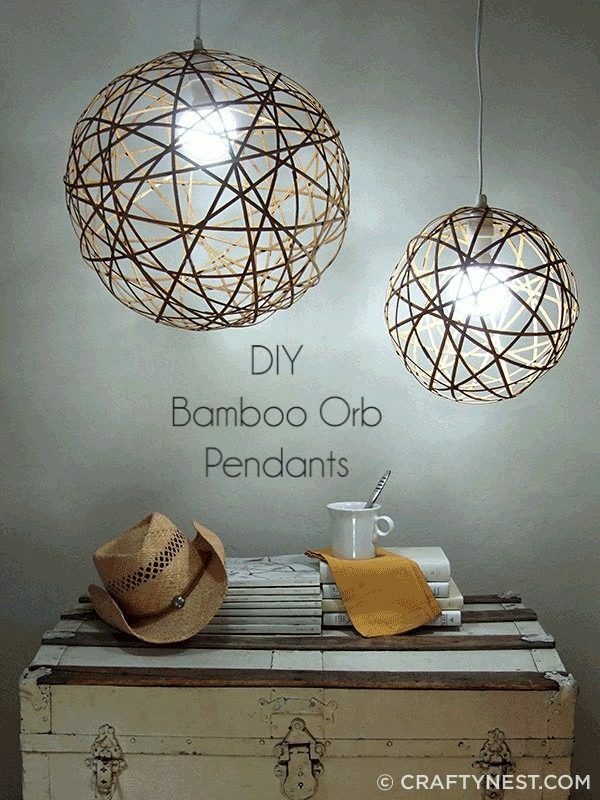 Bamboo orbs are great for highlighting an Edison-style bulb within and adding a natural element into the space. Gallery walls are one of the best ways to customize a space and create a focal-point wall. 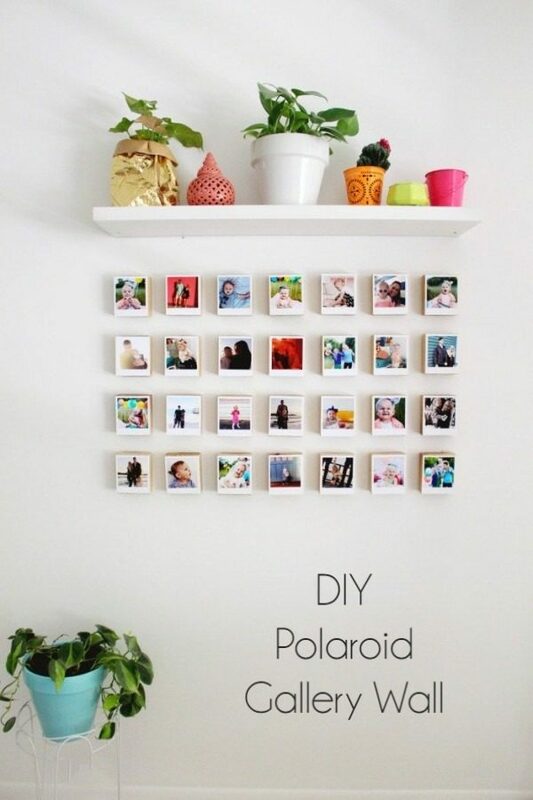 Grouping similar items like Polaroid shots is a fun and whimsical way to display those beloved photos. It is very simple to give furniture a makeover with simply a coat of paint or by adding some reclaimed wood for a rustic and warm look. 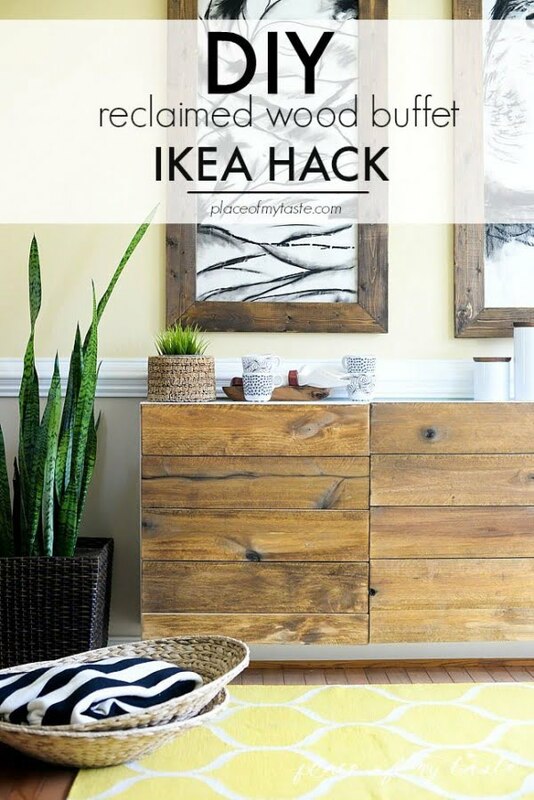 Adding some wood planks to an IKEA buffet completely transforms the piece, and you can do it all by yourself with very little money and effort. 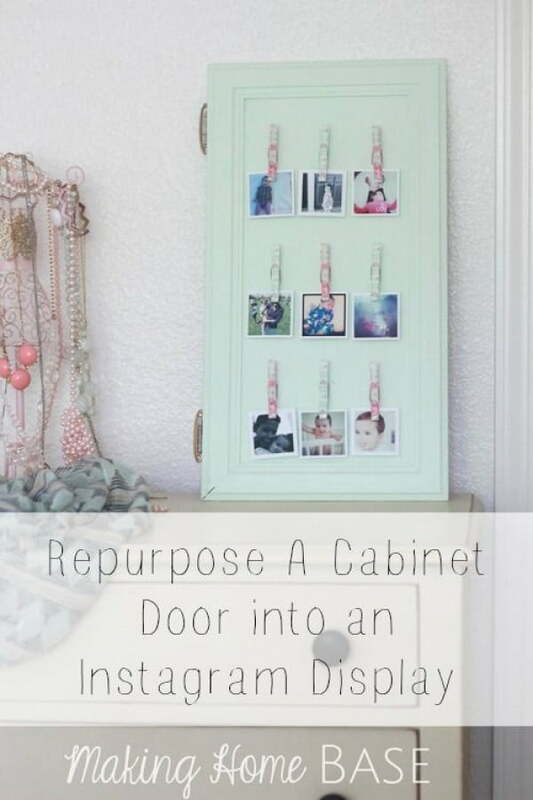 A seemingly useless old cabinet door can be transformed into an Instagram-inspired photo display. Gone are the days when photos only lived behind glass frames. These days, there are countless fun and unique ways to DIY a photo display for everyone to enjoy. 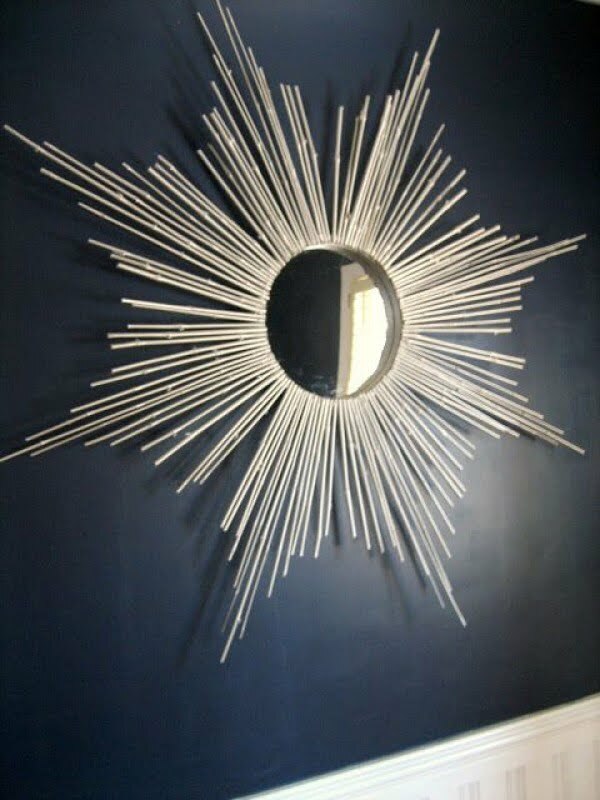 Some bamboo sticks emulate the rays of the sun perfectly in this DIY sunburst mirror. While these are easy to find in home decor shops, they can cost a pretty penny. For a fraction of the price, you can create one yourself to spruce up a wall space.